Sometimes you realize the potential of a place after you have renovated it the right way. This kitchen is a perfect example of that. 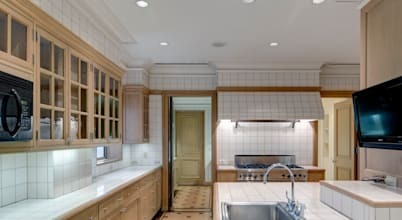 This huge kitchen/pantry was located in a residential area in Central Park, New York, and was renovated and refitted with modern equipment to create a completely transformed kitchen that is now perfect for intimate family gatherings as well as large formal sit-down banquets. Let us see how the designers achieved this transformation, but before that you might want to see these 5 kitchen transformations, to be able to appreciate this transformation project even more.